Atlas Music Publishing has announced the signing of Grammy nominee Brandi Carlile, along with the opening of Atlas Music Nashville. Carlile's multi-year, worldwide deal takes effect January 2019 and will take control of her entire back-catalog as well as future works. The deal covers Brandi's catalog of songwriting with long-time collaborators and bandmates, Phil and Tim Hanseroth. "As songwriters, the twins and I are on a constant search of fresh paths and unchartered territory! We are completely thrilled with the promise of this brand new journey with Atlas and we are looking forward to writing this story together with them," states Carlile. Regarding the Nashville office, Atlas founder and CEO Richard Stumpf says, "Atlas has had an incredible run in Nashville within a joint venture that brought us dozens of number-ones, a multi-year writer of the year winner and over 50 PRO awards. Given where we are in our growth, it was time to move beyond a joint venture and plant our own flag in Nashville. 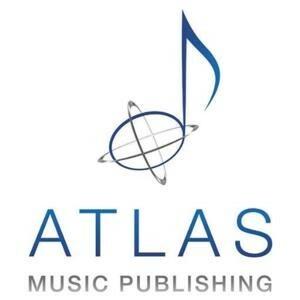 I'm happy to announce that Tracy Gershon will be advising us as we build out the Atlas Nashville team and roster." The location of the new office is 1030 18th Ave. South., Nashville, TN. They wouldn't say no if you wanna stop by with some lattes. Or maybe a case of bourbon.